The dearest beast is dead, long live the dearest beast! After he passed, everyone had the same question: “Are you going to replace him with another dog?” It took a long time to answer. Bubba was not just another dog and he could never be replaced. But the family had a hole in its heart that just had to be filled again. And so, after due consideration of myriad possibilities, we decided that it really didn’t matter that the vacuum trembled in fear whenever a Golden passed by; their dear nature could excuse anything. Click on the chart to see a larger, clearer version. Right click on the larger version to download a copy. Please feel free to use this chart wherever it might make a dog lover smile. 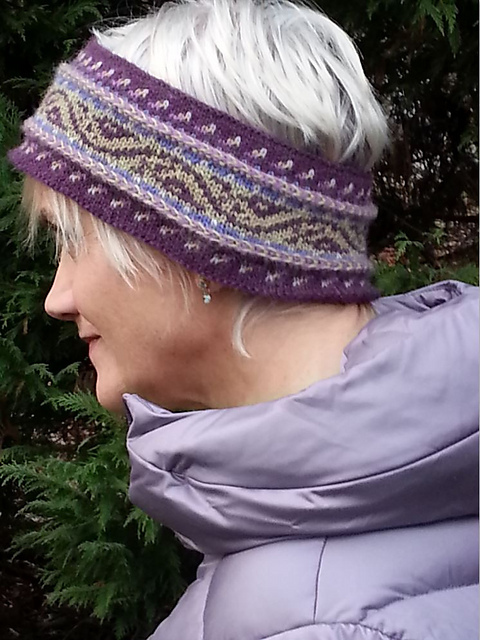 Personally, I’d do it in duplicate stitch, to turn plain hats and sweaters from dull to delightful. You could also do it in needlepoint, cross stitch, whatever works! Have fun! 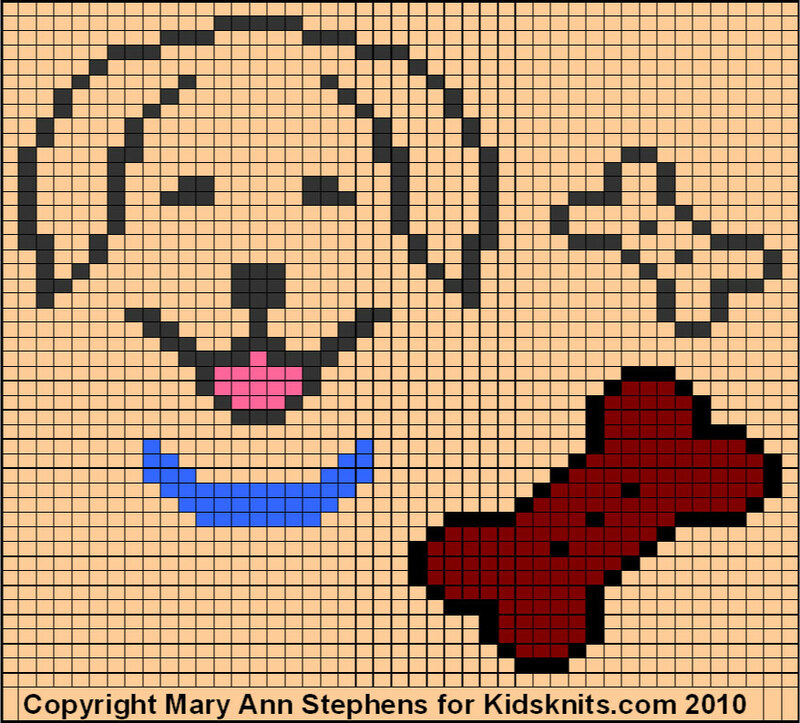 This entry was posted in Free Knitting Patterns, Knitting, Mary Ann's Designs, Uncategorized and tagged chart, counted cross stitch, dog, golden retriever, Knitting, needlepoint chart, stranded knitting. Bookmark the permalink. 6 Responses to The dearest beast is dead, long live the dearest beast! Hi, I clicked over to your blog from Ravelry..so sorry to hear that you lost Bubba recently. Thank you for sharing your Golden Retriever chart. The photo of Gracie is so precious – enjoy getting to know your new puppy! I’m so sorry about the passing of Bubba. I know what it is to grieve for a beloved pet, so I feel for you. I am so sorry for your loss. I lost my thirteen year old lab last Xmas. Even though you know they’ve lived a long life it’s still devastating when it happens. They bring so much joy into our lives. Your new little one is adorable. I still remember how it felt to lose my beloved dog over 30 years ago when I was in high school. We have two wonderful shelter doggies and I can’t imagine life without a canine companion (or two). Your new baby is so cute I could just eat her with a spoon. So sorry for your loss! I cannot imagine. 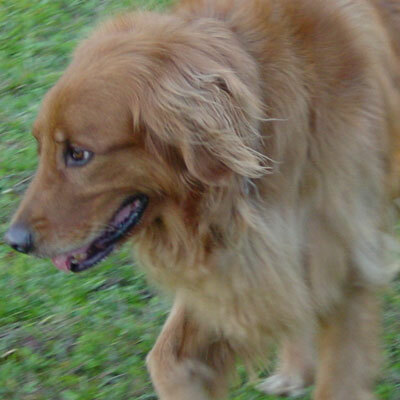 You are right, they cannot be “replaced” My Tucker..a Golden is almost 3. 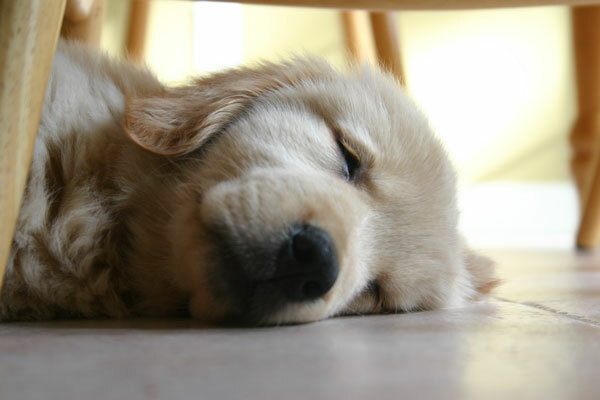 I cannot remember my life before a Golden. They are the most amazing dog on earth. Truly the most loving loyal of all breeds. He makes my soul happy. I am glad you chose another Golden.